Once hailed as the harbinger of a nuclear renaissance, the EPR is fast becoming one of the world’s most criticised and by far the most expensive nuclear white elephants. This 2016 article has been republished today in light of the explosion at Flamanville nuclear plant in France. The ink had yet to dry on two separate agreements signed by France’s Areva with Larsen & Toubro and the Nuclear Power Corporation of India Limited for the French-designed 1650 MWe EPR reactor in Jaitapur, Maharashtra, when the French nuclear giant went into meltdown. The agreements were signed with great fanfare during Prime Minister Narendra Modi’s visit to France on 10th April 2015 despite the fact that question marks on Areva’s future as a viable nuclear player had been piling up thick and fast. In May, mere weeks after Modi’s visit, Areva announced colossal losses amounting to 4.8 billion euros (well above its capital base) and in June the French government, which owns 87% of the company, announced that Areva would be broken up, with its nuclear power arm, Areva NP, (including engineering, construction and design) being sold to another French energy giant, EDF. The French state has an 84.5% stake in EDF. Why then did India persist in signing MoUs with a sinking ship? Surely Indian decision-makers were not unaware of Areva’s problems? And why is India insisting on buying nuclear technology that may be quietly buried in the near future, technology that has trebled in cost while providing no proof of performance, cost or economics of operation so far? 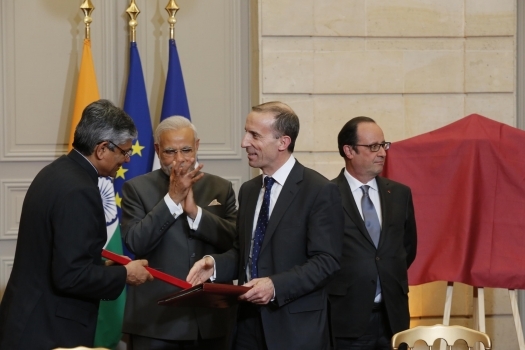 What will be the fate of the agreements signed between Areva and L&T and Areva and NPCIL? Will they be automatically transferred to EDF and if so at what price? Could India not have waited for clarity over Areva’s future instead of rushing into signing agreements with a company on the verge of dismemberment? Or is it that the MoUs were hurriedly pushed through so that Modi would have a big ticket announcement to make during his first European tour? “Every government in our country has tried that there should be a breakthrough in the civil nuclear deal,” Modi told BJP MPs upon his return. “I am not criticising any government, every government tried for it, but somehow, it was not getting successful. Whenever the aspect of nuclear deals used to come, every country cornered us. Now, this is the biggest achievement, even more than ‘Make in India’, as France agreed to give us the technology for nuclear reactors.” (emphasis added). In fact, France had agreed to this even earlier but Modi was keen to showcase the MoUs as a major breakthrough that he had engineered. The hurry to enter into these agreements is baffling since it is unclear what the long-term future of the expensive flagship EPR will be once EDF takes full charge of Areva. Energy experts say the EPR’s design issues and costs dragged down Areva and EDF is unlikely to want a similar fate for itself. The French electricity giant has been developing its own designs for smaller nuclear reactors in conjunction with the Chinese and other partners. 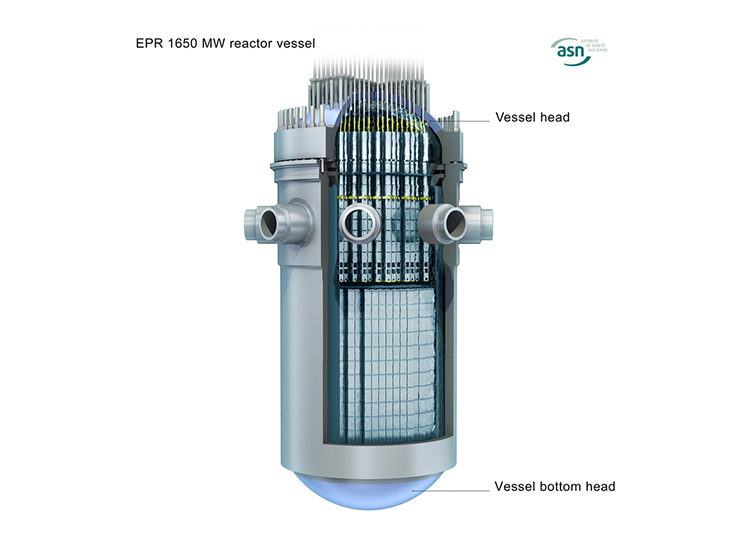 The construction and operation of the EPR has posed serious and persistent problems and there is always the possibility that EDF could decide to put the giant reactor into long-term cold storage. Olkiluoto nuclear plant in Finland. The unfinished Olkiluoto-3 reactor is on the right. Credit: Kristian Lindquist, CC 2.0. The signs of Areva’s irreparable decline if not imminent death have been on the horizon these past years. With its single product catalogue, Areva has struggled to complete two identical EPR reactors, the first at Olkiluoto for TVO in Finland (still not operational despite a nine-year delay and a trebling of costs) and the second in Flamanville, France, plagued by equally serious construction and security flaws, delays and outrageous cost over-runs. Two others under construction in China, Taishan I and II, are reported to be on schedule but could also face delays if nuclear watchdogs discover flaws in the reactors’ steel core similar to those found in Flamanville. The reactor cores of Taishan I and II were also forged by Areva. L&T’s MoU with Areva aims to “maximise localisation for the EPR nuclear reactors in India … through the transfer of technology and is expected to facilitate manufacturing in India of many critical components for the proposed Jaitapur Nuclear Power Project, which otherwise either are not accessible to India or would have to be imported,” a Department of Atomic Energy (DEA) press release states. Areva also signed a Pre-engineering Agreement (PEA) contract with the Indian operator Nuclear Power Corporation of India Limited (NPCIL) for the preparation of EPR licensing in India for the Jaitapur project. “These studies will also enable both companies to finalise the technical configuration of the project… and bring clarity on all technical aspects of the plant so that all parties (Areva, Alstom and NPCIL) can firm up their price and optimise all provisions for risks still included at this stage in the costs of the project,” the press release states. With Areva likely to undergo massive structural changes, the future of these agreements now appears doubtful. Financial modalities underlying them have not been specified. The KW/h cost of the electricity these reactors are slated to produce and the nuclear liability issues remain a stumbling block. Sources close to the dossier on the Indian side told this correspondent on condition of anonymity that French President Francois Hollande and his government as well as the CEO of Areva had “given both written and verbal guarantees that these agreements will be respected”. Another highly placed source in L&T confirmed that the company was “under intense pressure “ from both the NPCIL and the DAE to “sign an MoU during the PM’s visit.” All attempts to contact L&T’s Corporate Communications Office failed and calls to NPCIL went unanswered. Badrinath Durvasula, an officer from Larsen & Toubro’s legal department refused to answer questions saying he had no comment to make. But another L&T employee confirmed that guarantees had been given both by Areva and the French government that the contracts “would be respected”. Barely six weeks after it signed its MoUs with L&T and NPCIL, Areva has drawn a line through its activities as a designer, constructor and operator of nuclear reactors. Which leaves the MoUs signed with the Indians hanging in the air. In view of Areva’s looming troubles several senior persons quit the company in precipitate fashion. One of them confirmed that there was “pressure from both sides, Indian and French”, especially from the political establishment in the two countries, to have a signing ceremony. “These are only MoUs and not firm contracts but the two governments wished to have something to show the media in both countries. Call it spin, if you like. But no one is a dupe. We all know that MoUs do not in real terms amount to much,” the French source said. Katherine Berezowskyj of Areva’s press office told this correspondent that the company had contracts worldwide and that there was “no question” of not honouring them. 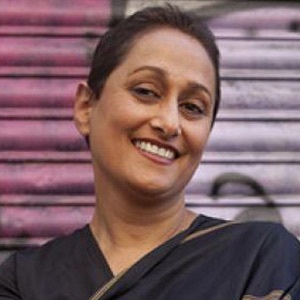 In a later email she wrote: “The details of agreements signed in April with NPCIL and L&T as well as the impact of the reorganisation of the French nuclear industry are something that is still being worked out. Therefore, it is difficult to provide you with significantly more detailed information during an interview”. Negotiations between Areva and EDF on the buy out is underway but it could be months before a satisfactory outcome is reached. Meanwhile, Areva has already begun a redundancy exercise, much to the ire and chagrin of French trade union bosses, with some 6000 jobs out of its workforce of 41,800 on the line in the year ahead. The estimated price of the reactor continues to go up and up – it has nearly trebled from 3.3 billion euros eight years ago to around 9 billion euros at current estimates and could go higher if the EPR’s technical problems persist. The company has run up a deficit estimated at 4.8 billion euros for a turnover of 8.3 billion. Its recapitalisation requirements stand at 7 billion euros. The French government has stepped in to impose draconian solutions on the company that will see its design, construction and operations arm hacked off and handed over to its arch enemy, EDF. When the negotiations with EDF are completed – the haggling over price is currently underway – Areva, a company that has built and operated some 64 nuclear reactors will be reduced to a dwarf. The French nuclear security watchdog, ASN, has issued a number of severe warnings to Areva on major security issues and manufacturing and construction flaws in the reactor being built in Flamanville, France, one of four EPRs under construction in the world. One of the latest warnings concerns the weakness of the reinforced steel core at the heart of the reactor where nuclear fission takes place. French papers have described fissures in the reactor’s innermost core as measuring as much as 42 centimetres. If the ASN’s suspicions about the poor quality of the forging done by Areva are proved right (the final test results will be available in October), the reactor dome will have to be removed. This can only mean one thing: the total abandonment of the EPR in France. A decision is not expected until 2016. Several reports published in France on the woes of the EPR describe it as a product of “French technological hubris”. It is a gigantic reactor that looks good on paper. But as the adage goes, the proof of the pudding lies in the eating and India did not wait long enough to see the reactor’s performance before rushing in to buy an untried product. Indian nuclear scientists and other power sector heavies continue to say India will draw lessons from the Chinese experience of building the EPRs – Taishan I and II — that are reportedly nearing completion. However, latest reports indicate that these reactors could face the same problems regarding the viability of the reactors’ core, since the steel for the Chinese reactors was forged by the same engineering firm – Areva – and with the same technology as that used in the reactor in Flamanville. A similar problem does not exist in the Finnish reactor, whose dome and inner core were built by a Japanese firm. However, Japan has refused to give that technology to India as part of its opposition to New Delhi’s nuclear ambitions and the Chinese will probably be reluctant to share their “lessons learnt”. The tussle between Areva and EDF promises to be a fight to the finish. Jean-Bernard Levy, the CEO of EDF said he wanted to make an offer that would be “right” and reflect market realities. In a recent interview to the Financial Times, Levy defended the “industrial logic” of such a takeover. “There is a part of Areva that we know particularly well, that of reactors. We are the world’s largest operator for installed capacity…. However, as concerns the other sectors of Areva’s activities, not being chemists, geologists or miners, we do not have an industrial card to play. The transaction must respect the market price but it should also contain guarantees that protect EDF from Areva’s past, especially in Finland”, Levy said. EDF has offered 2 billion euros. Areva says its nuclear power arm is worth at least 2.7 billion. There is also the question of Areva’s massive debt. The Finnish nuclear operator TVO is suing Areva for billions of dollars for the delays, cost over-runs (estimated at 7 billion euros instead of the 3.3 billion originally projected) and technical flaws related to the EPR in Olkiluoto. The failure of the Finnish EPR has contributed vastly to Areva’s troubles. Once hailed as the harbinger of a nuclear renaissance, the EPR is fast becoming one of the world’s most criticised and by far the most expensive nuclear white elephants. In France work began in 2007 and the reactor was to have gone on stream in 2012. This date has now been pushed forward to 2017 at three times the initial cost.